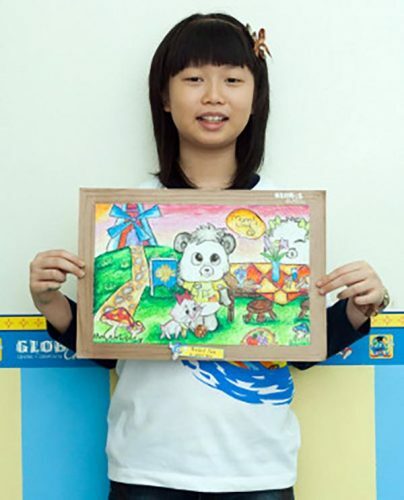 My name is Richell Tan and I am 12 years old, I have been studying at Global Art for almost 2 years. I always enjoy drawing and painting and I have joined so many art centers before. But I love Global Art the most because it teaches me to compose a story and draw based on my story. Because of that, I have to think more creatively to come up with different and interesting stories and try my best to draw based on those stories that I have. Now my drawing and coloring have improved a lot. I started with drawing simple objects and moved to drawing people in action now. I canâ€™t wait to learn more at Global Art.